House of Urns once again has taken a vested concern in family care and has expanded upon our highly rated funeral and memorial product offerings, by providing families, gravesite care services. House of Urns is a locally owned, family operated business located in the Chicago land area. It is the mission of House of Urns, that our grave maintenance services will fulfill our families’ desires and requirements, just as we have been personally performing for family clients across all of our product offerings. Our online presence includes sites such as HouseofUrns.com. GreenBurials.com, MemorialBenches.com, and the newest store, Columbaria.com. It is tradition at House of Urns to build with families one on one relationships and attention, which begins with each and every family client receiving a phone call from the owner introducing himself at the time of family inquiry or an order of services, and discuss exact concerns and desires, with follow-ups, after. It is not uncommon for relations to continue well after, with past family members who just pick up the phone and call us just to talk. Remember, the owner is a former funeral director who has a calling and passion to help people. If you require just basic gravestone cleaning, to full monument restoration, with anything in between, GCS will handle the need. It is necessary for the public to understand that there is a service that is dedicated to families even after an internment or inurnment has taken place that will tend to your loved one’s resting place. All needed upkeep can be accomplished and catered to; by choosing our offered comprehensive services to customized individual requests, regarding each burial site along with the monument or marker that is present. There are a variety of reasons that people are no longer capable of carrying out their grave care tending duties some which are possibly, a less capable spouse tending to a gravesite, infirmity, children or relatives of the deceased that have moved long distances. One is also able to pre-plan with us for perpetuity, if no relatives are left to tend your plot. Let us not forget that these reasons also affect the maintenance of pet burial locations. There is no longer a need to worry about how and who will tend a loved one’s burial site. Cemeteries perform a great job on the general maintenance of the common cemetery grounds, such as mowing the common public areas and removing litter and so on. 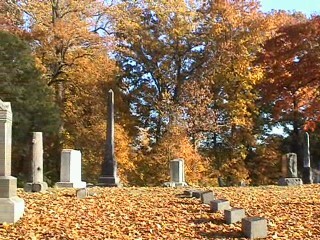 It is though, left up to the family to handle the details of their family’s, relative’s, freind’s gravesite maintenance. As a reminder, damage to headstones, markers do occur from prolonged exposure to varying types of soiling agents. Including overall long-term weather exposure.